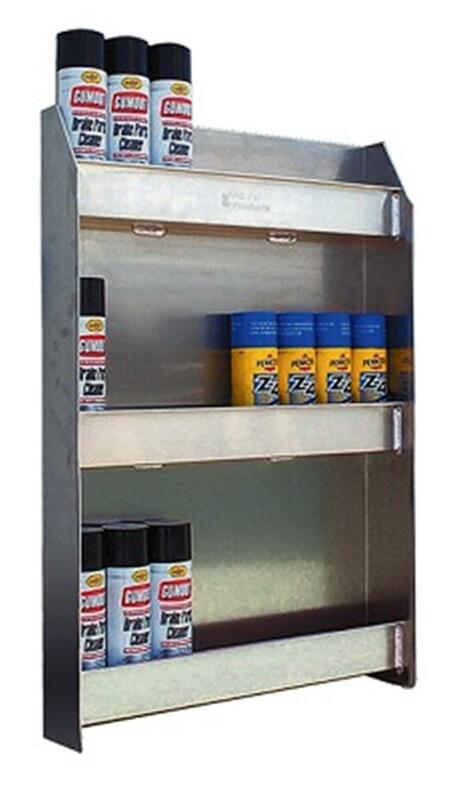 Pit Pal 3 Shelf Aerosol Can Aluminum Storage Cabinet 335 - California Car Cover Co. The Pit Pal 3 Shelf Aerosol Cabinet is designed to organize your spray cans and make the most of the space in your trailer or garage. This 3 shelf system will store up to 24 aerosol cans, 8 per shelf. Made of .90 aluminum and proudly manufactured in the USA. Measures 22"W x 32"H x 4-1/4"D with a 2-3/4" shelf depth.